Bleeding: Bleeding targets lose 1 health during the Declaration phase of each round of combat. Bleeding continues until the hero receives healing or until combat ends. This effect does not stack with itself. Blinded: Blinded heroes must succeed on a Navigate roll during the Declaration phase of each round in order to act normally. If it fails, ability ranks are halved this round. Brainwashed: Brainwashed heroes may not act normally. They treat their opponent as their only ally and the heroes as opponents. If the hero is attacking, roll target dice to see which group member they target. If the hero is using an ability or item that can target themselves or an ally, they instead target the opponent (to heal, boost, etc). Burned: Burned heroes lose 3 Health during the Declaration phase of each round of combat and Heal only half as well. This effect does not stack with itself. Captured: Captured heroes must succeed on an Explore roll during the Declaration phase of each round of combat in order to act normally. If it fails, the hero may not act. Cursed: Cursed heroes are unable to Heal damage. 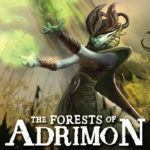 Roll all three skills during the Declaration phase of each combat round or during the Movement phase of each game turn. If you succeed on all three, you manage to break the curse. Diseased: Diseased heroes must succeed on a Survival roll in order to use Energy. This effect continues even after combat ends. In order to rid yourself of the condition, you must heal in a City or Shrine. Fatigued: Fatigued targets lose 1 Energy during the Declaration phase of each round of combat. This effect does not stack with itself. Entangled: Entangled heroes must succeed on a Navigate roll during the Declaration phase of the each round of combat in order to act normally. If it fails, a hero may only Attack or Defend at half rank. Frozen: Frozen heroes cannot act. Roll Survival during the Declaration phase of each round of combat. After two successes you may act normally and are no longer frozen. Petrified: Petrified heroes cannot act normally. Instead, they Defend each round (but may not use an item). Roll Survival after the final round of combat. If it succeeds, the hero breaks the Petrification. If it fails, the hero dies. Poisoned: Poisoned heroes lose 1 Health during the Declaration phase of each round of combat and must succeed on a Survival roll in order to use Energy. The Poisoned condition ends when combat ends. This effect does not stack with itself. Surrounded: Surrounded targets suffer 2 Health damage during the Declaration phase of each round of combat. This damage cannot be reduced or reflected. This effect does not stack with itself. Trapped: Trapped heroes must succeed on an Explore roll during the Declaration phase of each round of combat in order to act normally. If it fails, the hero may only Defend. Wounded: Wounded heroes suffer a -3 penalty to all ability and skill ranks until they receive healing.